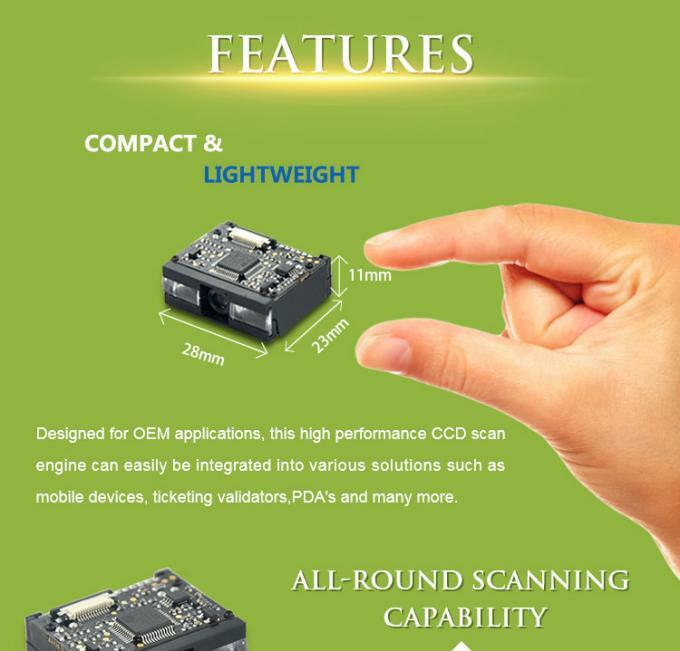 Designed for OEM applications, this high performance CCD scan engine can easily be integrated into various solutions such as kiosks, ticketing machines, PDA's and many more.Also codabar read swift. 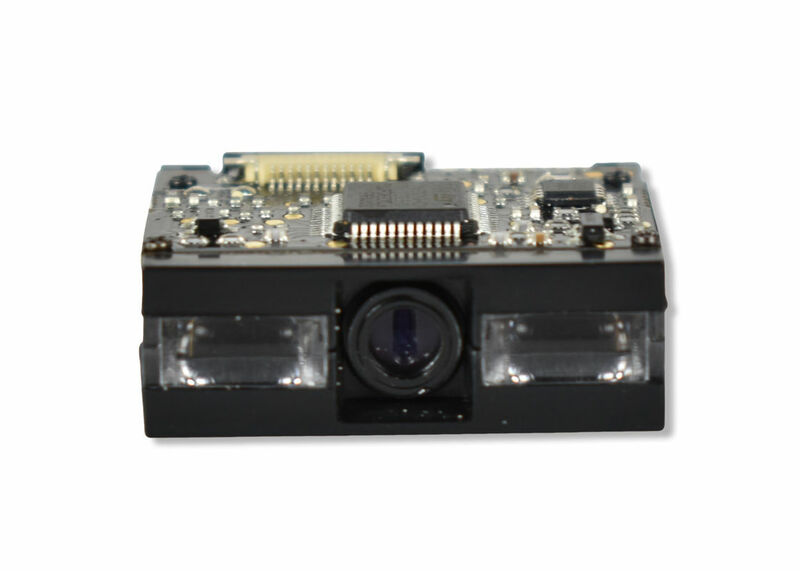 Compact and highly integrated desing, image capture device with decoder on the same board.Small form factor features an easy installation and variety of usuages. Thanks to the core-technology uIMG .Independent designed and manufactured by Rakinda Technology includes the optical, CMOS, digitizer, decoder, image processing & embedded systems. Supports all global standard 1D barcode symbologies. Reading performance reaches global standard.By using accessories provided, scan all kinds of barcodes defined by customers. Advanced optical focusing system which senses the ambient environment and adjusts the optical automatically for a quick reading response. 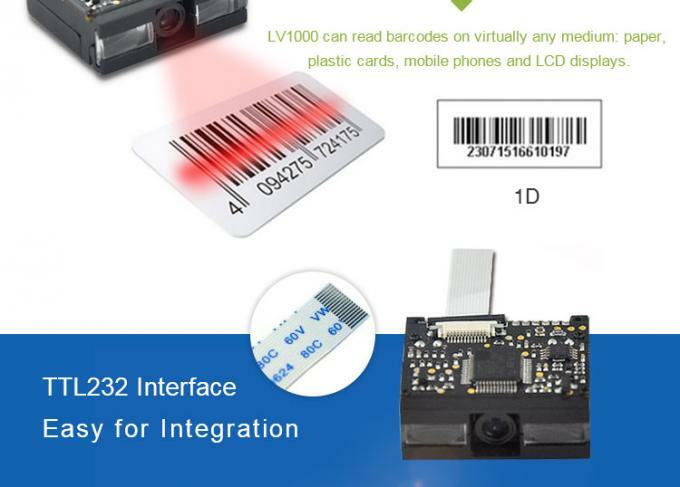 Designed for OEM applications, this high performance barcode scan engine caneasily be integrated into various solutions such as kiosks, ticketing machines,PDAs and many more. Symbologies Code128, EAN-13, EAN-8, Code39, UPC-A, UPC-E, Codabar, Interleaved 2 of 5, ISBN/ISSN, Code 93, etc. Evaluation Kit The Evaluation Kit for EM1300, with trigger, beep functions and USB, RS232 interfaces. Flex Cable RS232 Cable This cable connect to the RS232 port of EVK1300. USB Cable This cable connects to the USB Slave port of LV1000 with a USB-B male port. With a standard USB Slave port to connect to standard USB Host port. Power Adapter The power adapter for EVK1300 by RS232 Cable. A: For sample, it is typically within 3 days. For bulk order, it depends on quantity and model you order. A: Yes. We need further discuss about details. Q: How do you ship the scanners usually? A: Since it is light and compact, we usually use DHL, UPS, Fedex, TNT and post air mail.